For the article on the Province of Cebu, see Cebu. For its capital independent chartered city, see Cebu City. For other uses, see Cebu (disambiguation). Metropolitan Cebu, or simply Metro Cebu, (Cebuano: Kaulohang Sugbo, Tagalog: Kalakhang Cebu), is the main urban center of the province of Cebu in the Philippines. Metro Cebu is located along the central eastern portion of the island including the nearby island of Mactan. It accounts for 20 percent of the land area and 61.5 percent of the population (2015 census) of the entire island of Cebu. Metro Cebu is a metropolitan area that consists of Cebu City (the capital of Cebu and the regional center of Central Visayas) along with twelve surrounding cities and municipalities. The Metropolitan Cebu Development and Coordinating Board (MCDCB) is a body mandated to formulate development plans for the Metro Cebu area and coordinate their implementation. Unlike the Metropolitan Manila Development Authority, the MCDCB does not have legal and institutional powers. However, MMDA's powers are limited by jurisdiction to only the core of the agglomeration. It is the second largest metropolitan area in the Philippines, after Metro Manila. Metro Cebu is almost twice the size of Metro Manila. 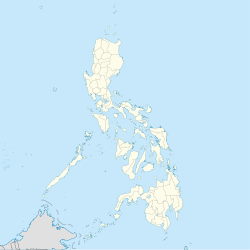 It comprises Cebu City and six surrounding cities (Carcar, Danao, Lapu-Lapu, Mandaue, Naga, Talisay) and six municipalities (Compostela, Consolacion, Cordova, Liloan, Minglanilla, San Fernando). Note: In October 2005, development planners from Regional Development Council 7 of the Metropolitan Cebu Development Council (now Metropolitan Cebu Development and Coordinating Board) headed by the Cebu Provincial Governor and Local Government Units of Cebu expanded the definition of Metro Cebu to include the cities of Carcar and Danao, and the municipality of San Fernando. The provincial capitol, the central business district, major educational institutions and the international port are all located in Cebu City while major industrial companies and factories are located in Mandaue. The international airport and the export processing zone are located in Lapu-Lapu on Mactan Island. Danao is primarily a mining city while Talisay is a residential city with its income generated by small- and medium-sized businesses. Cebu City was a fishing village and farming settlement governed by Visayan native kings who traded with the neighboring islands of Malaysia and Indonesia. Cebu was the location of the Rajahnate of Cebu, an Indianized kingdom founded by the half Indian and half Malay, Sri Lumay, from Sumatra. On 7 April 1521, Portuguese explorer Ferdinand Magellan arrived in Cebu. Magellan failed to successfully claim the Philippines for the crown of Spain as he was killed on Mactan island on 27 April 1521, by its leader, Datu Lapu-lapu. On 27 April 1565, Spanish explorers led by Miguel López de Legazpi arrived in Cebu from Mexico. The Spaniards renamed the city on 1 January 1571, from San Miguel (Saint Michael) to Villa del Santissimo Nombre de Jesús (Town of the Most Holy Name of Jesus). The island were a former capital city of the Spanish East Indies before the capital city was moved to Manila in 1571. Mandaue then was known as Mandani ruled by their lord Aponoan. It was formally constituted into a "pueblo" (people) between 1580 and 1700 and was officially known as the Población de Mandaue (Town of Mandaue) in 1899. It emerged into the industrial city of Mandaue. Mandaue became a chartered city on 21 June 1969 through Republic Act 5519. It was considered a highly urbanized city in the year 1991. Talisay was a former Augustinian order hacienda (estate) in 1648 and became a municipality in 1849. On 30 December 2000, Talisay became a component city by virtue of Republic Act 8979. Lapu-Lapu city was originally referred to as "Mactan." It later became the town of Opon in 1730, the 7th town founded by the Augustinian Friars in Cebu. The town of Opon became a city on 17 June 1961. Its largest district, Lapu-Lapu, was named after Datu Lapu-Lapu. Metropolitan Cebu was conceptualized by government planners in the 1970s and was based on the experiences of urban planning in Metro Manila. Metro Cebu represented the province's thriving urban centers that are physically proximate to Cebu City, which is the leading commercial and financial hub in the Visayas and northern Mindanao areas with a population largely dependent on the economic opportunities prevailing in the area. The people of Cebu are called Cebuanos. Some individuals have Chinese, Japanese, Indian and other foreign ancestries as well as ancestries from other Filipino ethnic groups. Cebuano is the most common language spoken in Metro Cebu. English is commonly used in educational institutions and business transactions. Other languages spoken include Chinese, Tagalog and a range of Visayan languages. Metro Cebu is the seat of well-known and highly regarded educational institutions in the country. A large number of students from the neighboring provinces such as Bohol and Misamis Oriental prefer to go to Metro Cebu to take up tertiary-level education. There is also a sizable number of South Korean and Iranian students who take up tertiary-level courses in Metro Cebu. Most of these Koreans came here to learn the basics of conversational English while the majority these Iranians study Medicine and other medical-related courses. Cebu has four internationally connected educational institutions. Cebu International School and CIE British School are located in Cebu City; Singapore School Cebu and Woodridge International School are located in Mandaue. Metro Cebu also has several hospitals and clinics, there are two types of hospitals in Metro Cebu: the public hospitals which is owned by the government. Some public hospitals in Metro Cebu are the Vicente Sotto Memorial Medical Center, Cebu City Medical Center and there are also few public district hospitals which are also managed by the provincial government of Cebu. Some of the private hospitals in Metro Cebu are the Chong Hua Hospital, Cebu Doctors' University Hospital, University of Cebu Medical Center, Perpetual Succor Hospital and Cebu Institute of Medicine Hospital. On 30 June 2004, Gloria Macapagal-Arroyo was the first Philippine President to be inaugurated in Metro Cebu. The inauguration was done in front of Cebu Provincial Capitol in Cebu City. This was done in gratitude for the support given to her by the people of Cebu during the election. In a break with tradition, she delivered her inaugural address in Manila before departing for Cebu for her inauguration. Metro Cebu and other key Philippine cities hosted the 2005 Southeast Asian Games. The event was held from 27 November to 5 December 2005. Venues for this event includes the Cebu City Sports Complex, Cebu Coliseum, Mandaue Coliseum, University of San Carlos and parts of Danao. The Cebu International Convention Center is a structure built by the Cebu provincial government in time for the 12th ASEAN Summit and 2nd East Asia Summit at a cost of around US$10-million dollars, US$5-million dollars more than expected. It is a three-storey structure with a total floor area of 25,000 square metres (270,000 sq ft) and situated on 3.8 hectares (9.4 acres) of land at the Mandaue Reclamation Area. The 2016 International Eucharistic Congress, held on 24–31 January 2016, was a gathering of Roman Catholic priests, bishops, lay people, nuns and representatives from different parts of the world. The 8-day congress was observed with religious activities like cathechisis, processions and seminars, It was ended with a Statio Orbis or Closing Mass held at South Road Properties on 31 January 2016, it was attended by the Papal Legate, Cardinal Charles Maung Bo. Philippine Long Distance Telephone Company (PLDT) is the major phone carrier in the metropolis and the entire province. Globelines Innove and Islacom, both subsidiaries of Globe Telecom came in after the passage of the Telecommunications Act of 1995. Metro Cebu's electricity is mostly supplied from Leyte Geothermal Power Plants operated by PNOC-EDC which is interconnected across Cebu through electrical submarine cables operated by TransCo. It is transmitted by the state-owned National Transmission Corporation (TransCo) through several high tension wires. It is stored and distributed by the Visayan Electric Company (VECO). They put out 220VAC 50 Hz (VECO). In 1974 the Metropolitan Cebu Water District (MCWD) took over in distributing potable water to the whole metropolis after the Osmena Waterworks System suffered financial losses. MCWD supplies potable water to the cities of Cebu, Mandaue, Lapu-lapu and Talisay and the municipalities of Consolacion, Liloan, Compostela and Cordova from their reservoirs in Lake Plumbero, Minglanilla; Buhisan Reservoir in Cebu City; Casili in Consolacion and Mananga in Talisay. Water shortage has always been a problem in Metro Cebu due to deforestation and seawater intrusion of the underground water supply. There was a proposal to acquire water from nearby Bohol island because of the water crisis in the metropolis. In 1998, the Mananga Phase I Project located in Maghuway, Talisay was completed producing an additional 33,000 cubic metres (33,000,000 l; 8,700,000 US gal) of potable water per day. And the other area through a series of 5HP submersible pumps powered by Solar Electric Energy (note: Operates only during daytime) in Minglanilla near Lake Plumbero. Metro Cebu's roadways are among the country's busiest. The south highway, Osmeña Boulevard, Colon Street, and V. Rama are Metro Cebu's major roads. A new highway which is the South Coastal Road or the Cebu Coastal Road is almost complete. The 12 kilometer, 4-lane highway was created to improve traffic in Metro Cebu. It connects Cebu City, Talisay and other southern municipalities. In conjunction with the development of the Cebu South Coastal Road, a roadway underpass nearly a kilometer long is currently under construction to connect the South Coastal Road with the Sergio Osmeña Avenue in the North Reclamation Area. Other planned projects include a series of flyovers in the north district, the Cebu North Coastal Road and Cloverleaf interlink road project. Mactan is connected to the island of Cebu via two bridges: the Marcelo Fernan Bridge and the much older, Mactan-Mandaue Bridge. The third Cebu-Mactan link which is the Cebu–Cordova Bridge is under construction. Mactan-Cebu International Airport's recently opened Terminal 2. Mactan Cebu International Airport (MCIA) is, officially, the only airport in the Metro Cebu. Located in Lapu-Lapu, it is the second busiest airport in the Philippines, after Metro Manila's Ninoy Aquino International Airport. It has two terminals. Terminal 1 is used solely for domestic flights, while Terminal 2, which was opened on July 1, 2018, serves international flights. Together the two terminals have a total capacity of 12.5 million. The number of weekly international flights to and from MCIA has constantly increased over the years. Currently, there are direct regular and/or charter flights to the following international destinations: Changi Airport, Hong Kong Airport, Narita Airport, Kansai Airport, Nagoya Airport, Incheon Airport, Busan Airport, Taoyuan Airport, Kuala Lumpur Airport, Xiamen Airport, Dubai Airport, and Nanning Airport. Metro Cebu's MCIA is the international gateway to the economic hub of the Central and Southern Philippines. There are numerous daily flights between Cebu and most Philippine cities. Air freight to and from Cebu is reliable and efficient with major international couriers like FedEx, Fastpak Global Express, and 2GO operating here. Metro Cebu's Port of Cebu is the busiest domestic seaport in the Philippines. Along with the ports areas of Mandaue and Lapu-Lapu, Cebu's "seaport complex" is considered as the busiest port in the Philippines in terms of number of annual passengers. It is also the main port of entry in the province of Cebu and Central Visayas Region. It plays a vital role in the Philippine's shipping industry with about 80 percent of the country's shipping companies that are based here. The port is located at the center of the province's east coast. It is nestled in a natural harbor in the narrow strait between Cebu City and Mactan, the latter providing a natural cover and breakwater, making the port one of the safest and operational the whole year round. Cebu International Port and Cebu Domestic Port serves container vessels and passenger ships with destinations around the country and the world. Cebu International Port is a multipurpose terminal covering an area of 10 hectares with 690 meters of berthing space and a controlling draught of minus 8.5 meters at MLLW. The Cebu Baseport – Domestic Zone is the area for the domestic transactions of different business coming from and going to the different island of the archipelago. It is dedicated to coastwise shipping with 3.5 kilometers of berthing space, 3 finger piers and 3 passenger terminals. As one of the most vibrant economic hubs in the Philippines, Metro Cebu has attracted several multinational companies in various industries ranging from business process outsourcing to pharmaceuticals to electronics. Among them are Mitsumi Electric, Pentax, FMC Corporation, Fairchild Semiconductor, Tsuneshi Heavy Industries, Muramoto Audio-Visual, Lexmark International, Teradyne, NEC Technologies, Timex, Olympus Optical, United Technologies, Maitland-Smith and Taiyo Yuden. The Metropolitan Cebu Development and Coordinating Board (MCDCB) is the successor of the Metropolitan Cebu Development Council (MCDC) which was created by the RDC through Resolution No.117 (1997) and was subsequently replaced by the former on June 2011. Like its predecessor, it was mainly patterned after the Metropolitan Manila Development Authority with the inclusion of regional offices of the National Government agencies, regional services and utility agencies, and private institutions. It is mandated to formulate development plans, prepare programs and projects, and coordinate/monitor the implementation of programs and projects that address problems and concerns affecting Metro Cebu. The MCDCB is composed of the provincial governor of Cebu; the mayors of the cities of Cebu, Mandaue, Lapu-Lapu, Talisay, Carcar, Danao, and Naga; the mayors of the municipalities of Compostela, Liloan, Consolacion, Cordova, Minglanilla, and San Fernando; the regional directors or heads of the Department of Public Works and Highways, Philippine National Police, Department of Environment and Natural Resources, Environmental Management Bureau of DENR, Philippine Navy, Philippine Coast Guard, Maritime Police, Traffic Management Group, Land Transportation Office, Department of Health, and Department of Interior and Local Government, Philippine Information Agency, Metro Cebu Water District, National Youth Commission, Housing and Land Use Regulatory Board, Mactan-Cebu International Airport Authority, and Cebu Port Authority; and private groups such as the Ramon Aboitiz Foundation Incorporated, Cebu Business Club, Cebu Leads Foundation, Cebu Chamber of Commerce & Industry, Mandaue Chamber of Commerce & Industry, Filipino-Chinese Chamber of Commerce, and IBM Philippines. The governor of Cebu acts as chairman of the Board. MCDCB does not have legal and institutional powers and resources like the Metropolitan Manila Development Authority (MMDA). The MCDCB defines the coverage of Metro Cebu for planning purposes only. The Province of Cebu has proposed a bill to create a permanent Metropolitan Cebu Development Authority (MCDA). This bill is still pending in both the House of Representatives and Senate in the Congress of the Philippines. ^ "Province: Cebu". Philippine Standard Geographic Code (PSGC). Quezon City, Philippines: Philippine Statistics Authority. Retrieved 8 February 2018. ^ Sun Star Cebu 2005. ^ Scholze, Hillmer & Schneider 2002. ^ Cebu Holdings, Incorporated (2012). "Business Catalyst". Retrieved 19 September 2015. Scholze, O.; Hillmer, G.; Schneider, W. (2002). Protection of the groundwater resources of metropolis Cebu (Philippines) in consideration of saline intrusion into the coastal aquifer (PDF). 17th Salt Water Intrusion Meeting. Delft, Netherlands. pp. 489–495. Archived (PDF) from the original on 25 April 2016. Peñaranda, Victor (1998). "Bohol Frets while Cebu Thirsts". Philippine Center for Investigative Journalism. Archived from the original on 2001-02-22. Sun Star Cebu, CYR (8 October 2005). "RDC enlarges Metro Cebu". Archived from the original on 2007-03-11. Wikivoyage has a travel guide for Metro Cebu. This page was last edited on 2 April 2019, at 15:50 (UTC).